Bristol’s best festival is back this May with a line-up as loveable as ever. 2017 was a turbulent year haunted by turmoil and heartbreak which, thankfully, so far, hasn’t seemed to rear its ugly head quite as much in 2018. This being said, it’s still important to take every opportunity to immerse ourselves in love and fun, reminding ourselves just how good the world can be, and in the lead up to summer this year, there’s no better place to restore your faith in the world then at the aptly named festival: Love Saves The Day! With its humble beginnings as a one-day festival in Bristol, Love Saves The Day has grown from strength to strength over its seven-year run. With an emphasis on great music and a diverse range of genres, festival organisers urge party-goers to “expect the spectacular” as it strives to combine the best of Bristol’s thriving underground scene with pioneering artists from across the globe. This year is no exception, with artists representing the likes of dance, electronic, R&B, soul, jungle and drum & bass: there really is something for everyone! 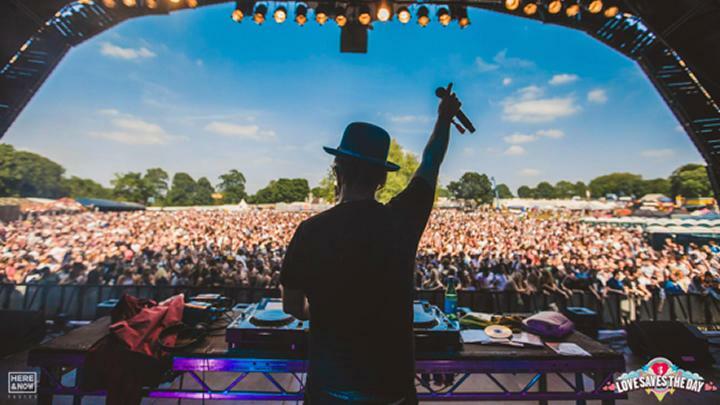 Staying true to its Bristolian roots, Love Saves The Day will be held in Bristol’s leafy Eastville Park on Saturday 26th and Sunday 27th May, just in time for the bank holiday. The Blast stage provides revellers with a killer combination of hip hop, drum & bass and electronic music, with performances from Krept and Konan, My Nu Leng, Flava D, Shadow Demon Coalition and more, so this is clearly the place to be if a party is what you’re after. If hip-hop is your thang, the Crack Magazine Stage is the place for you. Home to artists from Four Tet and Floating Points to Hardy Caprio and Octavian, we’d expect nothing less from Bristol’s leading contemporary culture platform. Forget what you’ve heard about Sunday being the day of rest, because it certainly isn’t at Love Saves The Day! Sunday adds a whole new dimension to this already jam-packed weekend, bringing a whole host of new stages along with it. The Main Stage plays hosts to acts from dance artist Sampha and hip-hop musician Loyle Carner to Sip The Juice DJs and up-and-coming singer-songwriter Mabel whose huge debut album is surely on the way, so see her this summer so that you can smugly say you saw her before she was huge! Making its debut appearance at Love Saves The Day is the Run Stage which, with names like Andy C, Camo & Krooked, SASASAS and High Contrast, is sure to be a weekend highlight, showcasing a selection of drum and bass icons that span past, present and future. On the Lost Gardens Stage, enlisted especially by Artwork, Axel Boman and Moxie will keep the tunes coming with their combination of genre-blending musical styles.